Description: With their love of geometric forms, architects of the Prairie School interpret organic objects into simplified lines. The Meyda Tiffany Prairie Corn two light wall sconce shade has rows of Chili Red and Wheat kernels and stalks of Bronzed Jade against a Maize Gold background. 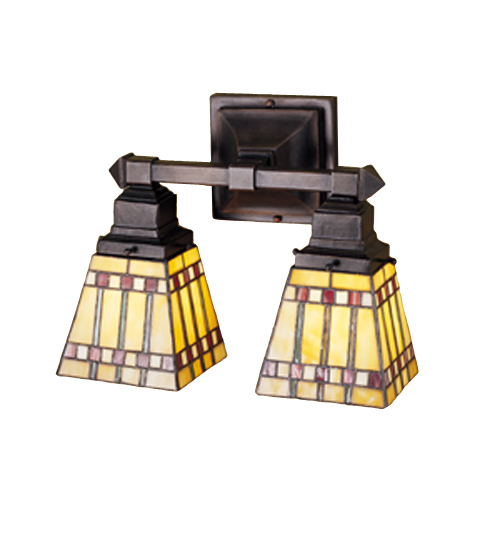 The stained glass shades are paired with simple Mission style hardware in a Mahogany Bronze finish.